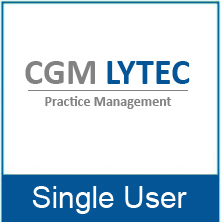 Lytec 2019 Single User supports one computer. This is the latest version of Lytec. Lytec© powered by eMDs is a proven, trusted, and affordable practice management solution designed to simplify the way you run your practice. Certified by eMDs as a Value Added Reseller, 2K Medical Software is a certified reseller of Medisoft Software and electronic medical records software. 2K Medical Software also provides the training, data file repair, data conversions and other support needed to adapt the electronic medical records as well.